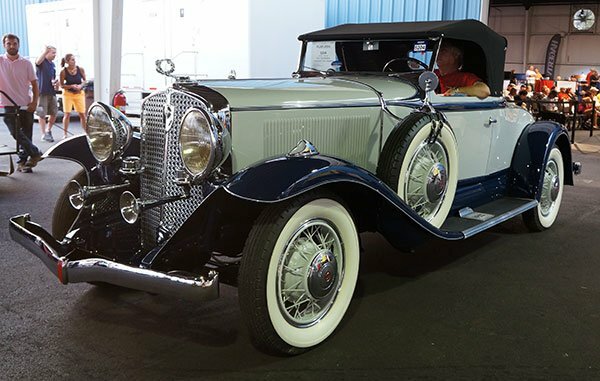 Although the Auburn-Cord-Duesenberg Museum initiated the Auburn Fall Festival event long ago, the biggest beneficiary of the event is RM’s Auctions America, the auction company that puts on the big sale at the Auburn Auction Park. Included with the auction sale is a car corral and a swap meet. 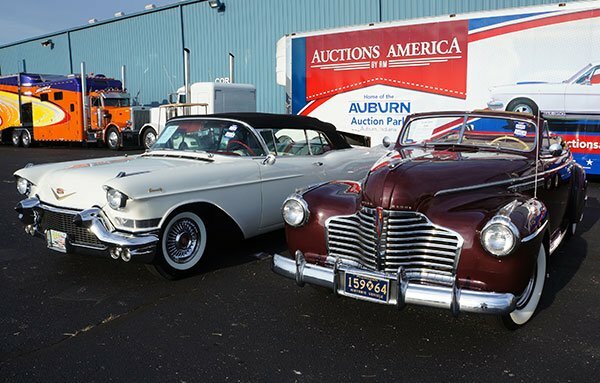 As we arrived today RM’s Auctions America had already SOLD a rare 1957 Cadillac Eldorado Biarritz Convertible (left) and a 1941 Buick Roadmaster Convertible. 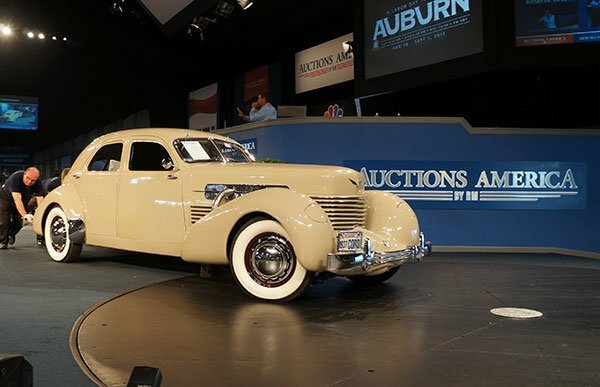 The first car we saw sold today was a 1937 Cord 812 Supercharged. 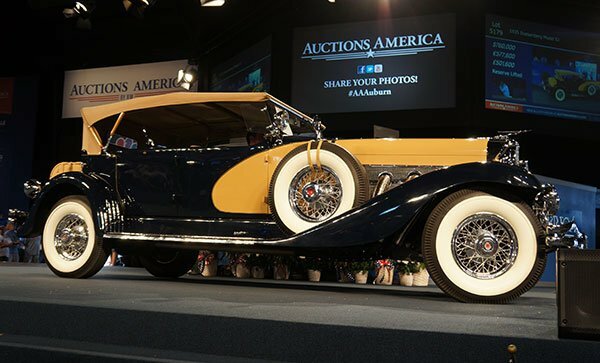 It seems fitting that Auctions America sold so many Cord and Duesenberg cars today. The big sale of the day was a 1935 Duesenberg Model SJ Phaeton which went for $760,000. 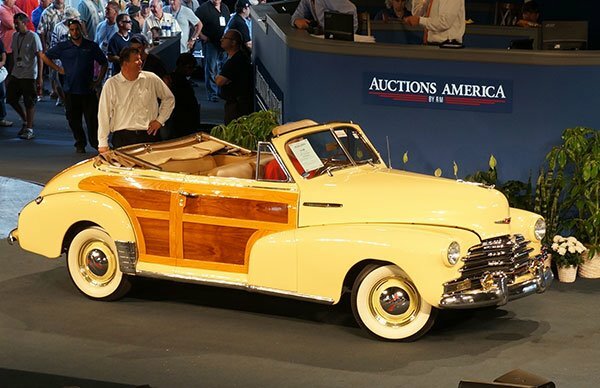 A beautiful 1947 Chevrolet Woody Convertible was sold out of an exclusive collection. 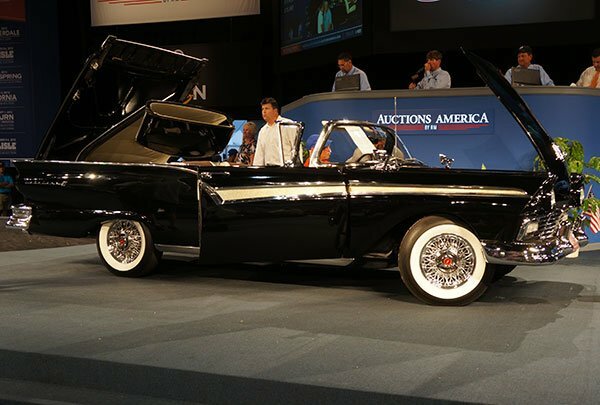 When a 1957 Ford Fairlane Skyliner Retractable came up on the stage they lowered the top into its secret compartment in the trunk. 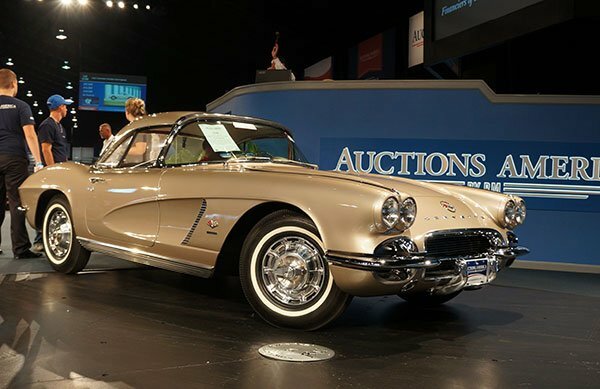 A Fawn Beige 1962 Corvette Fuelie Convertible was sold. Bidding on the 1931 Studebaker President All-Seasons went way over $100,000. 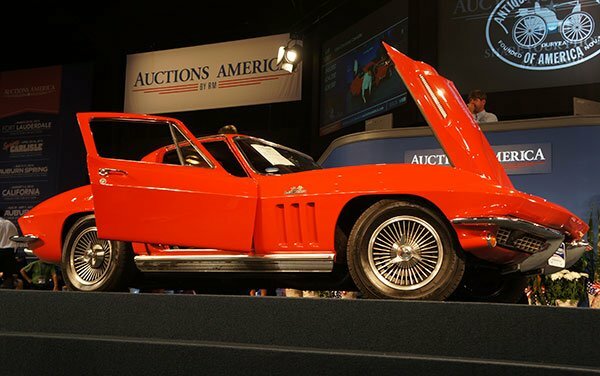 A desirable big block 427/425 Corvette Coupe went over the block.